If you’ve been tempted by Mercedes-Benz’s latest A-Class, but need more practicality, maybe this, the new B-Class, could tempt you. A rival to the BMW 2 Series Active Tourer and the Volkswagen Golf SV, the B-Class was unveiled at the Paris Motor Show and is based on its A-Class sibling. But, it's got more interior space and a sportier look than its predecessor. 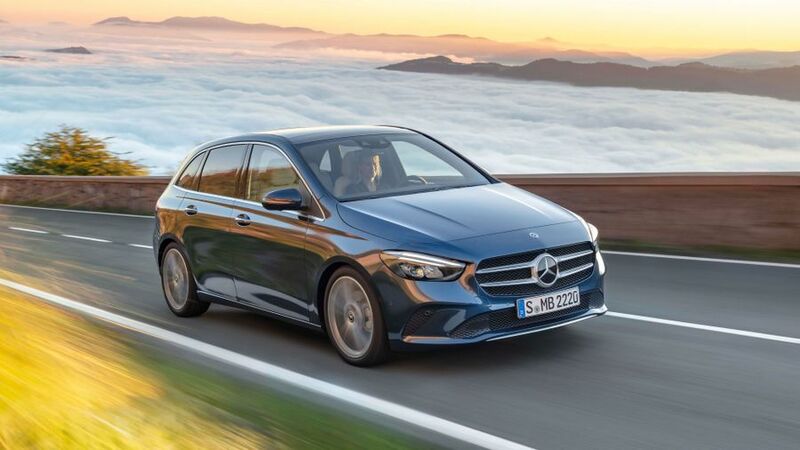 Inside, a wealth of technology will be available, taken from bigger cars in the Mercedes range, including the firm’s latest MBUX infotainment system – as found in the A-Class – and two digital displays in front of the driver. MBUX includes a speech recognition system, through which you can control functions on the car by saying “Hey Mercedes” and then talking normally. Well, in theory anyway. Driver assistance systems have been taken from the Mercedes flagship S-Class and include adaptive cruise control and automatic emergency braking. Engines will include three diesels with 116, 150 or 190 horsepower, and two petrol engines with 136 or 163 horsepower. All come with seven or eight-speed, dual-clutch gearboxes. We’ll have more information on pricing and availability once those details are announced. Interested in buying a Mercedes-Benz B Class?